Enhancing the lives of children with diverse special needs by providing evaluations, therapies, and other services for children to achieve full and independent lives. Hear 2 Learn seeks to enhance the lives of children with diverse special needs by providing individualized and multidisciplinary services, family-centered therapies and community outreach. 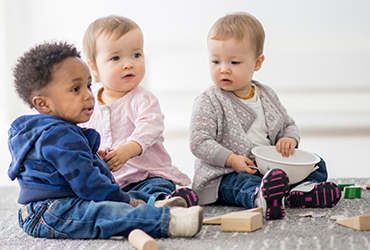 Preschool provides a fun and safe environment for children to interact and forge relationships with peers, and to benefit from the guidance of early childhood education professionals. Early Intervention is a public program for infants and toddlers with special needs. Hear 2 Learn works with families to make the Early Intervention process as easy as possible. 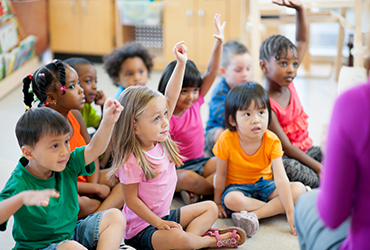 Hear 2 Learn is a New York State Department of Health and Education approved agency for Early Intervention and Preschool Services. We provide a wide array of educational and therapeutic services for children of all ages with diverse special needs through individualized and multidisciplinary services, family-centered therapies and community outreach. If you love working with children and are motivated by the many rewards of making a difference, we would love to hear from you.